YES LOCATION: One of the chief considerations on the home appraiser’s list is location. Location matters for so many things in the real estate world, and where a property is located is going to have to be factored in to its overall valuation. 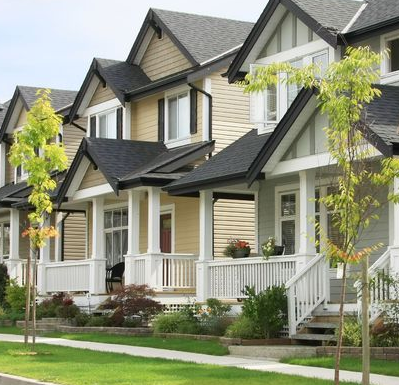 If your home is near a school, parks, a recreation center and in a fairly quiet neighborhood, that will go a long way towards helping its overall value increase. If, however, the home is under a flight path, closer to a rougher area of town, or near a busy street, you will find the home will definitely be dropping in overall value. USUALLY COMPS: (comparable sales) The appraiser has to look at houses that are like the one he or she is looking at and try to determine what the ultimate value of the house is. If there are several houses in the neighborhood, all built in the 1970s, there is little chance that the Victorian-style home you are looking to have appraised will be considered, unless there are no other recent sales. If there are few homes of similar size, amenities, recently sold (last 6-months at the most), in arms-length transactions (no family or inside deals), and in the same neighborhood, that means adjustments to the comps will be significant. This is one reason you need a scientific approach to determining value that takes into account MORE than just the comps. This is one reason that online valuation tools can be WILDLY INACCURATE, and that a BPO (Broker Price Opinion) by a Realtor, which mainly considers comparables, isn't the best choice for an enormous investment or return on your investment. GET THE FULL APPRAISAL. NOT CLEANING: is appreciated but not needed. When the appraiser comes into your home, he or she will not be looking to see if you have done the housework. You could have pet hair all over the place and the appraiser would not really care, unless he or she has allergies. What matters to the appraiser is whether or not the fixed elements of the home are in good shape. If there are cracks in the foundation, or if there is a rotting subfloor, or if the drywall is cracked or peeling, the appraiser is going to make note of these details and of anything else he or she might notice is wrong. If the condition of the house is in question, the appraiser will make note of it and this will definitely affect the overall value if other homes in the area are generally in better condition. SOMETIMES IMPROVEMENTS: Improvements may or may not substantively increase the appraisal value of the house overall. If a new deck is built to code, or if new flooring has been put in, or if the roof has been re-shingled recently, these are all factors that can have a positive spin on the results of the appraisal process. But don't expect to always get your money back out of them. Homes are expected to be in good working order, and in a condition commensurate with the neighborhood. You might get most of the value of the roof back, if your roof is on its last leg, but probably not if it's a year or two old. You want to increase the overall value of your home, so it is important to try and make improvements to your home that bring it into a like condition to your neighborhood. A pool is a notorious 'improvement' that can actually reduce home value and cost you that much of your investment (not everyone wants a pool, it's maintenance and a potential hazard, and it takes up lawn space). Do most other homes in the area have pools? Discuss the alternatives with a real estate agent or an appraiser to determine whether or not the improvements you are considering are likely to make them worth the money. You can even get a pre-sales appraisal BEFORE you consider improvements, and ask that question of the appraiser. Maybe you'll be happy enough with the appraised value, and you'll be that much more ready to move or sell. Once your'e up on the basics, focus on the investment. It's a lot more than you'd spend on or get from a car, isn't it? For the best information on setting a purchase price (or being sure of the value of a property) GET THE APPRAISAL.